They say the journey is more important than the destination — it’s also a lot more interesting, which is certainly true for Meant founder Lindsay Knaak-Stuart. 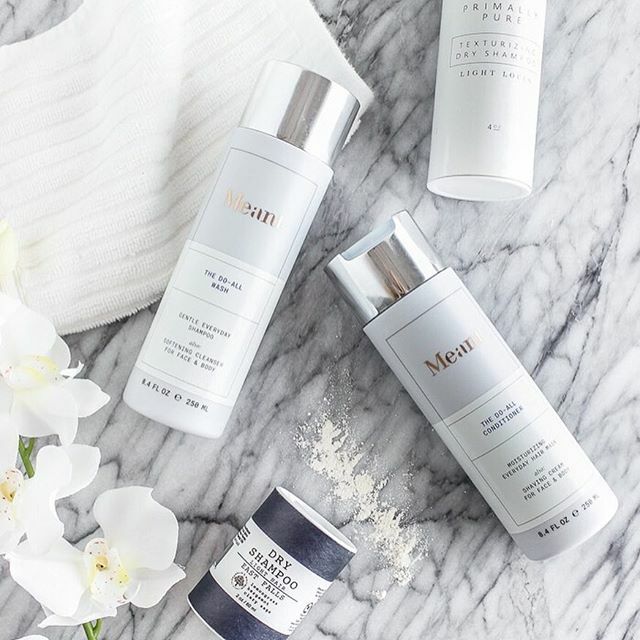 After a career in fashion and struggling with infertility, Knaak-Stuart was inspired to launch organic body care line Meant. 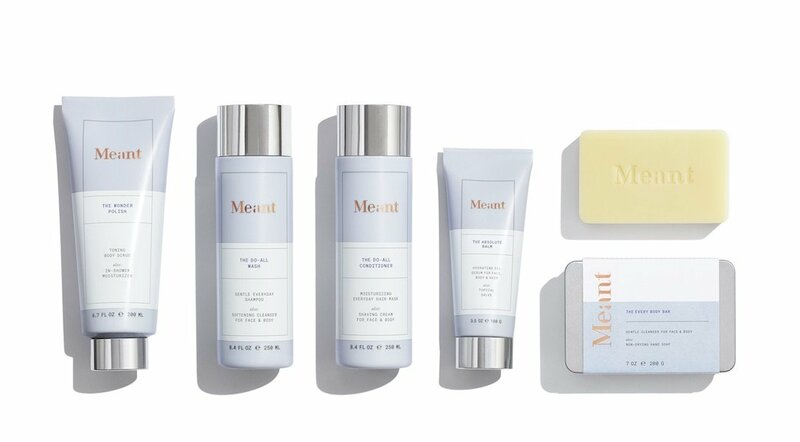 Exceedingly conscious about ingredients, all of Meant’s products are multipurpose (think hair mask and shave cream) — a refreshing change from the 20-step skin care regimens touted by K-beauty enthusiasts. 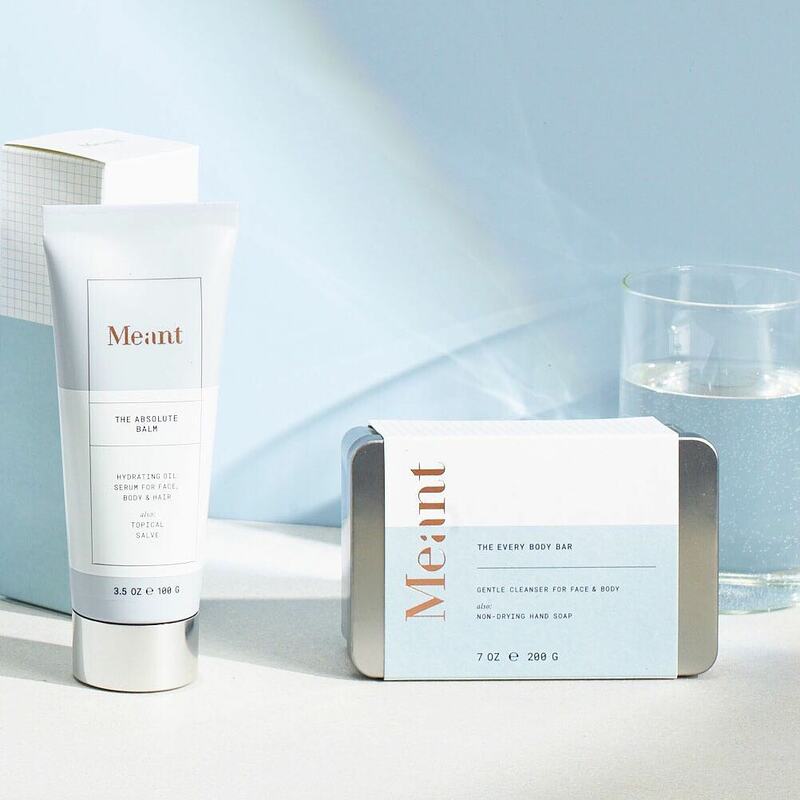 We talked to the beauty entrepreneur about her background, the challenges of launching an indie beauty brand and what’s next for Meant. 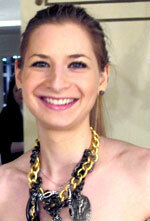 theFashionSpot: Can you tell us a little bit about your background? Lindsay Knaak-Stuart: I studied journalism and advertising in college, which led me to San Francisco to work for big advertising agencies. I always loved the strategy side of marketing and knew working in-house for a brand is where I needed to be. 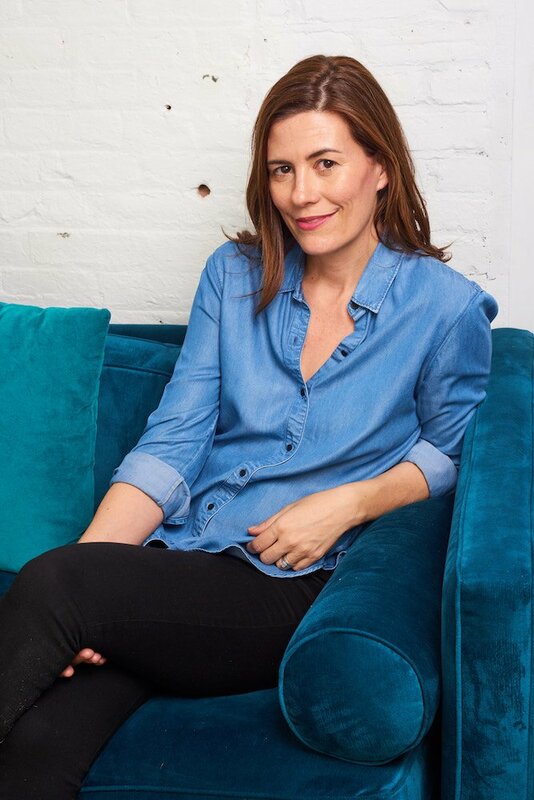 I went on to work in brand management for Gap Inc. for seven years, both in San Francisco and NYC, and led brand strategy for Kate Spade New York for five years. tFS: In all your time in fashion, were you also always interested in beauty? LKS: I’ve never been a big makeup person, but all other aspects of beauty are interesting to me. I love that beauty is democratic. Every shape, size, color and age can take part in beauty. It’s much more inclusive than fashion. tFS: What gave you the guts to put your time and money into starting your own brand? LKS: I spent the majority of my 20-year professional career working for multibillion-dollar brands so I was used to the ups and downs of retail and perhaps naively didn’t think beauty could be any harder! But what gave me the guts to do this was becoming a mother. Spending time away from my kids doing something I was no longer passionate about wasn’t OK with me. I knew the next phase of my career needed to be on my own terms and I was lucky to have the emotional support of my husband who encouraged me to go for it. tFS: Can you tell us about the initial steps? LKS: I started with a business plan to make sure I thought through all aspects of the brand, from concept to market analysis, competition to pricing and who my target customer would be. Once there was a solid concept in place, it was time to come up with a brand name. Easier said than done. I think my husband and I brainstormed over 100 names until we finally came up with one that could be trademarked. tFS: What is something you did early on that you are thankful for? LKS: Hiring a lawyer early on in our business was one of the smartest decisions we made. tFS: How did you go about formulating the products with no background in chemistry? LKS: I know how to build brands but I don’t know how to formulate products and so that’s one of the first things I did — I researched organic chemists willing to develop custom formulations and that had minimums I could meet. Having tried so many products over the years, I had a really good sense of what I wanted each of our five products to be and it was a matter of working closely with my chemist to prototype until we got each formula to my vision. tFS: What’s something you know now that you wish you knew when you started your brand? LKS: Two things actually. First, whatever you think you’re going to spend to launch a brand or business, you should double it! Second, you’re going to make mistakes, so just roll with it and chalk it up to a learning experience and a mistake you won’t make again. tFS: That’s great business and life advice! Speaking of life advice, how did your struggle with infertility prompt your decision to start an organic beauty brand? LKS: Doctors weren’t able to tell me why I couldn’t conceive and diagnosed me with unexplained infertility, which is a really frustrating diagnosis with no “cure.” As a result, I was forced to take my health into my own hands and adopted a somewhat extreme approach by eliminating any toxic chemicals from my diet, home and personal care products. Specifically parabens, triclosan, formaldehyde, phthalates and toluene, which are all known to be endocrine-disrupting chemicals. tFS: Is that easier to do now than it was then? How has the organic market changed since you first conceived your brand? LKS: I conceived Meant in the fall of 2015 and at that time attended the Indie Beauty Expo NY as a consumer and to confirm I had a viable concept. I think there were maybe 50 brands that showed. I attended again this past August 2017 and there were over 200 brands that showed. The market has exploded in such a short amount of time, which I see as a good thing because it means consumers are making smarter purchasing decisions and choosing nontoxic products from brands they can trust. tFS: Meant has the “less is more” approach, do you see yourself expanding the brand in the future? LKS: I do see Meant expanding, but only in a thoughtful way. There are a few more multitasking products that I can do to round out the body line, but expansion will come in the form of verticals like Meant Baby and Meant Home. Never say never, but I don’t have any plans for a skin care line, it’s just too crowded of a market. tFS: Any advice for aspiring entrepreneurs? LKS: Being an entrepreneur and, in my case, a team of one can be very isolating. I try and make a point of networking with people inside and outside of the business and saying yes to coffee dates even when I feel like I don’t have the time. I’m a part of a few local female entrepreneur groups that are useful for sharing best practices and seeking advice.